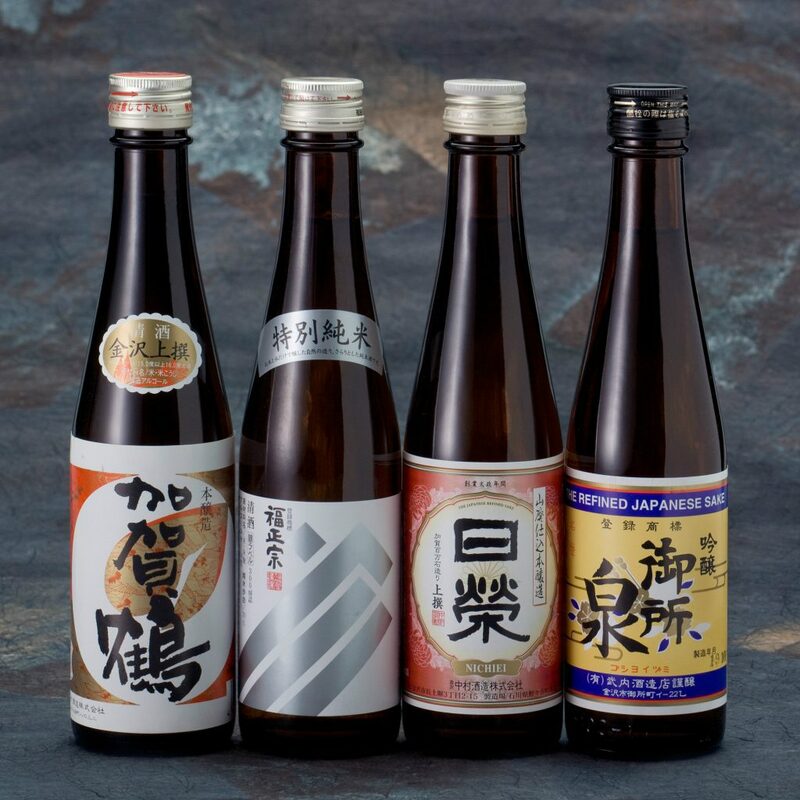 Although beer has become the popular go-to alcohol of izakayas and bars, sake remains Japan’s treasured national drink for gifting, sealing business and family deals, and reconnecting with the country’s history and roots. Yet the sake remains one of the world’s most under-appreciated and misunderstood drinks. What is sake, how is it made, and how is it best enjoyed? Sake has a much higher alcohol content than beers and most wines. To temper the heat of the alcohol, it’s often served cold. Many places will present the serving pitcher in a bowl of ice water, allowing guests to enjoy the drink at their own pace without it dropping to room temperature. Cheaper brands are often served warm to enhance the flavors and the heat of the alcohol. Some earthier, less fruity sakes do taste better warmed and are noted as so on the label. In general, however, the flavor profiles and subtleties are best cold. Premium sake should nearly always be served chilled. The origins of Japanese rice wine are older than recorded history itself, with roots reaching back to China. 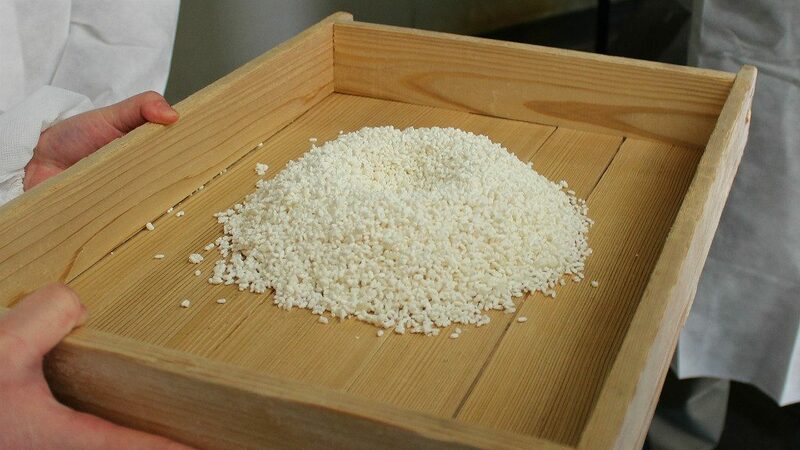 The combination of rice, water and kōji (the mold used in the fermentation process of sake, soy sauce and miso) originates around the 8th century. 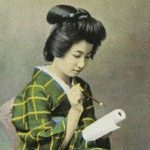 Temples and shrines became the primary producers of sake for most of history, but with the Meiji Restoration, anyone with sufficient funds could freely produce the drink. At that time, around 30,000 breweries cropped up throughout the country. However, as beer and wine became more prominent in the last century, that number has dwindled to less than 2000. Sake is produced from a special breed of rice, called saka mai (酒米; of which there are around 80 varieties), whose grains are larger and firmer than used used in cooking. 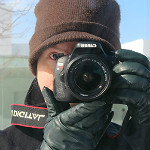 The grains are carefully polished to remove all the bran covering the highly-starchy center. How much of each grain is polished away will change the steaming process time and the overall taste. 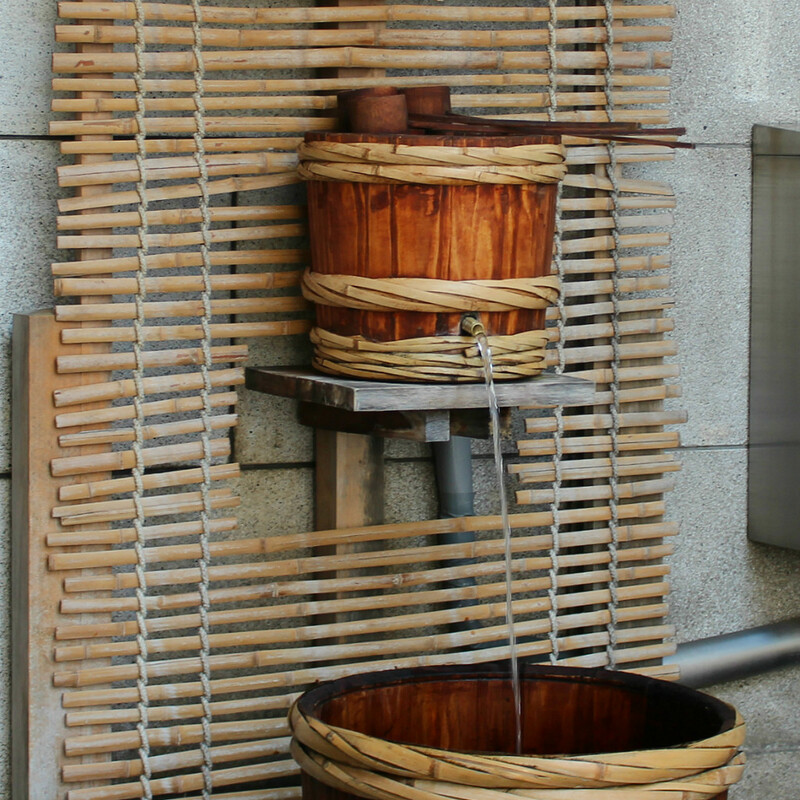 Although it’s often called “rice wine,” the brewing process is much closer to that of beer. To produce wine, the sugars already present in fruit ferment to produce the alcohol. For beer, starches first convert to the sugars before fermentation occurs. With sake, the conversions of starch to sugar and sugar to alcohol happen simultaneously. 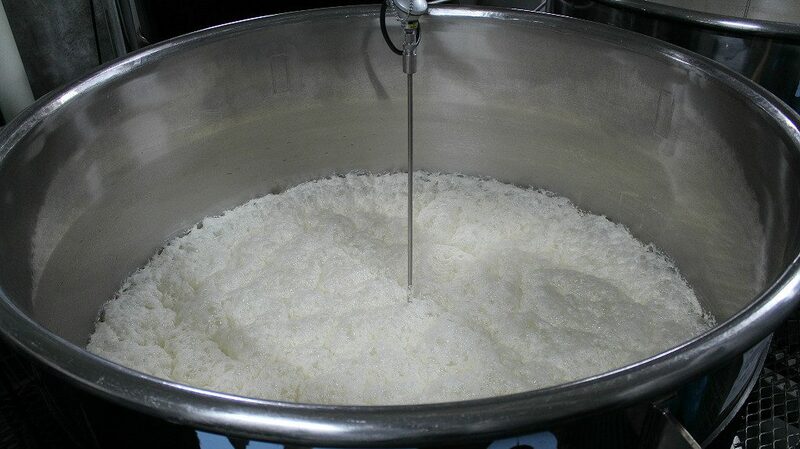 The rice is first steamed, not soaked as it might be in cooking, to produce large, firm moist grains. Water is used several times throughout the brewing process. Because the mineral content can greatly affect the taste, the particular water used is crucial. Hard water, high in mineral content, will produce a dry sake, while soft water lends a sweeter taste. Many breweries pride themselves on using local water from natural sources. Several breweries in Ishikawa, for example, draw from purified rainwater flowing from Mount Haku, the holy mountain in the southern area of the prefecture. 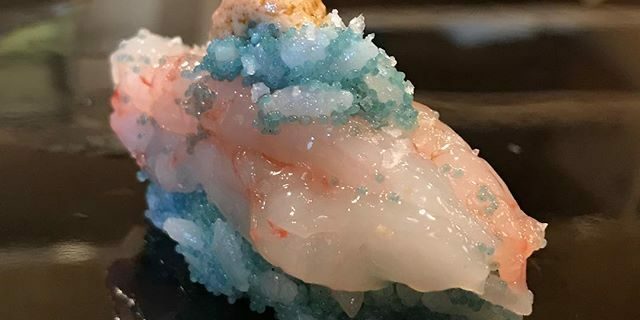 Spores from a particular and carefully cultivated mold, kōji (麹, Aspergillus oryzae), are sprinkled over the steamed rice and encouraged to grow. Over the next few days, the rice is arranged and checked for temperature and moisture level. Kōji is also used with yeast cells (Saccharomyces cerevisiae) to produce a dense yeast starter, usually over the course of two weeks. 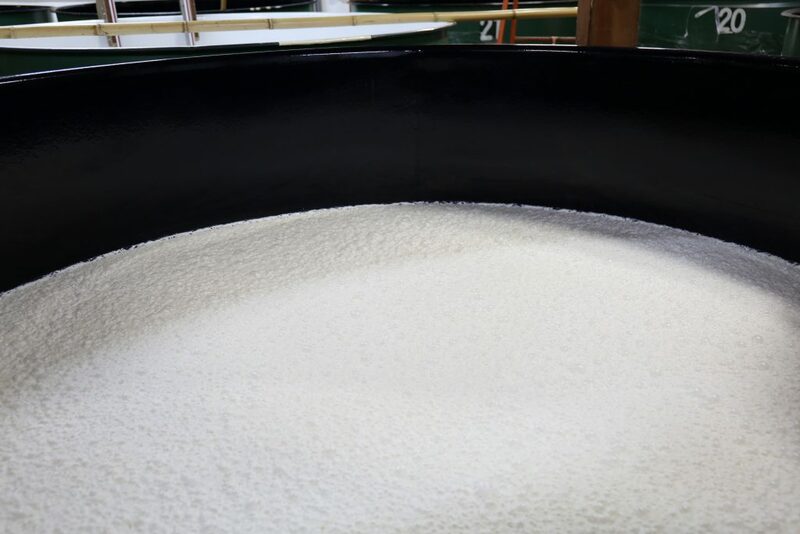 The kōji filled rice and yeast starter are moved to large tanks where more rice and water are added and become the main mash, called momori (諸味). 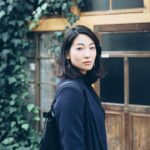 The momori ferments anywhere from two weeks to a month and is checked frequently for temperature, consistency, and activity. Typically, the lower the temperature, the slower the brewing process, the longer the process takes, and the higher the quality of sake. When the brewery master (tōji, 杜氏) has decided the moromi is ready, the mash is pressed to separate the solids, and the liquid is filtered until clear and given a period of maturation. The sake is then pasteurized and water is added to lower the alcohol content to a still high 15%. It’s then left to age anywhere from six months to a year. 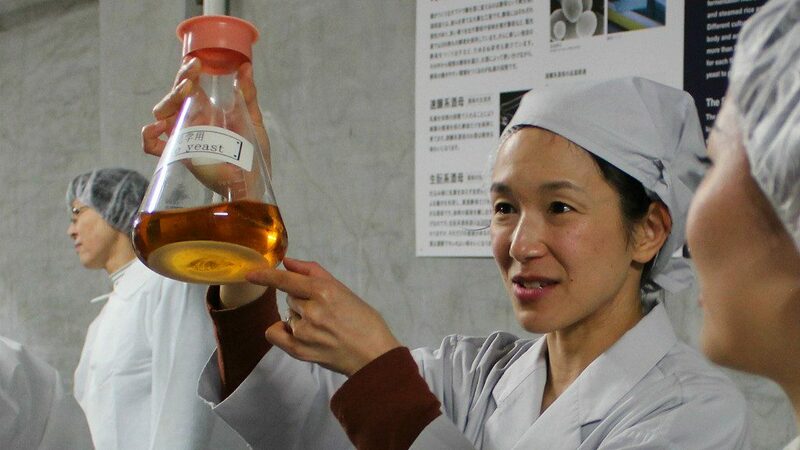 For an in-depth look at the brewing process before coming to Japan, we recommend The Birth of Sake, a Netflix documentary about Ishikawa’s Tedorigawa Brewery in nearby Hakusan City. The percentage of bran polished away, the use—or lack—of added sugars or seed alcohol, or other special steps in the brewing process all contribute to the flavor, quality, and price of a given bottle. Here are some words and their characters to look for when judging a label. All labels will end in shu, another pronunciation of the Japanese word for alcohol. No additional alcohol or sugars were added. Some breweries, like Fukumitsuya in Kanazawa, pride themselves on making junmai-shu exclusively. No additional sugars were added, but it will have been made with seed alcohol. This label indicates a special step or variation was included in the brewing process. More than 40% of the rice has been polished away, and fermentation occurred at a lower temperature, taking longer to brew, and producing a smoother taste. Here, “dai-” means “greatly.” This is a top-quality sake made from rice polished more than 50%. An example of a high-quality sake, for example, would be junmai-daiginjō-shu (純米大吟醸酒). Bring your wallet. 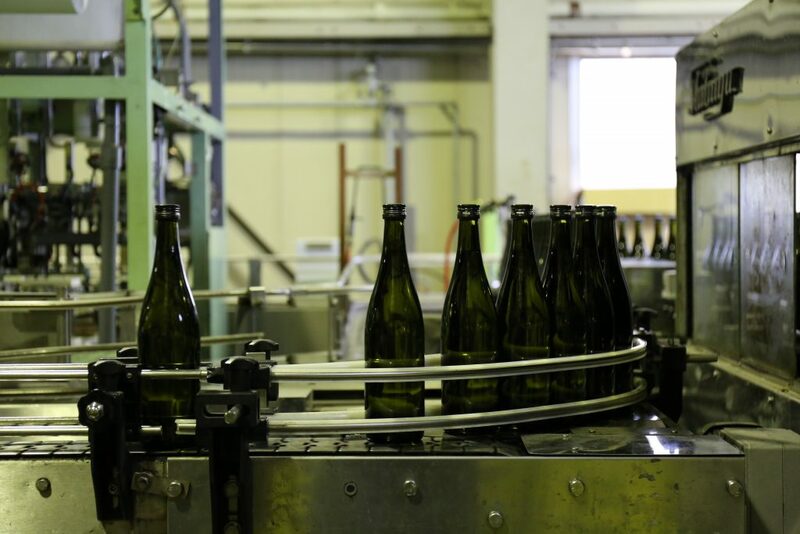 Traditional sake goes through two pasteurization processes to ensure that the drink will remain safe and delicious on the shelf for a year. By contrast, nama-sake is pasteurized only once and should be drunk within six months of brewing before it becomes cloudy or ages early. Once opened, a bottle should be consumed within two weeks. In a method that restricts fermentation to only the production of glucose, ama-zake is safe for anyone of any age to drink. 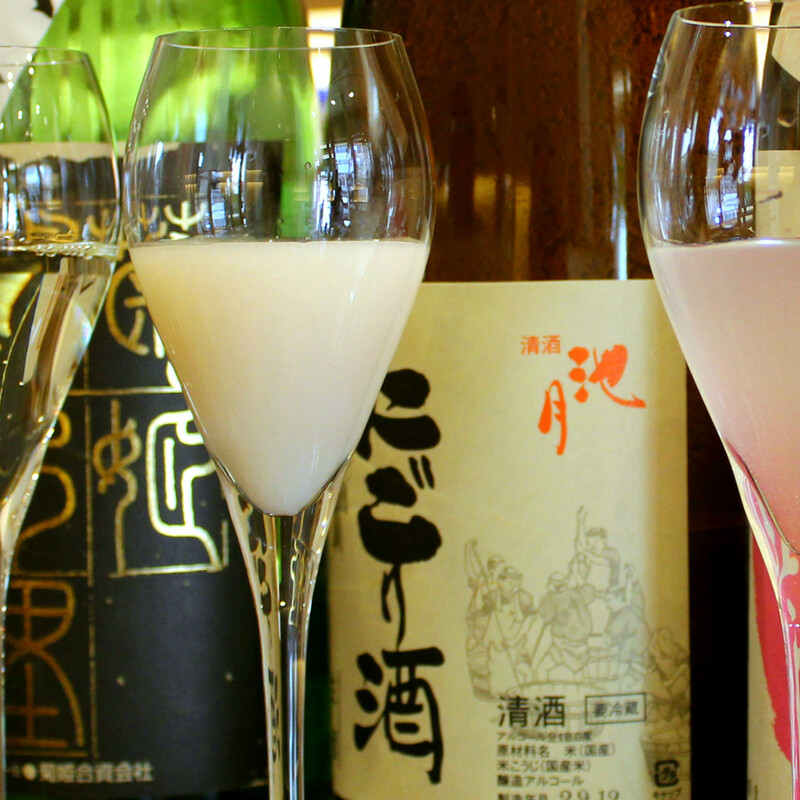 Low-alcohol versions do exist, but are usually made from mixing regular sake to the batch. Traditionally a summer-time drink, this “sweet sake” can be enjoyed hot or cold, and is often featured hot at the shops around Kenroku-en in winter. Sake is typically filtered to remove all rice solids until only the clear liquid remains, but a cloudy drink is sometimes preferred. A sake that is only coarsely filtered so small rice particulates remain, is nigori-sake, which is slightly sweet, opaque white, and should be gently turned before serving. No filtration at all results in the pungent doburoku, the closest sake gets to home-brewing, and which very few in Japan are permitted to produce. 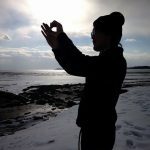 These include the residents of Shirakawa-go, a bus ride away from Kanazawa. In mid-October, the Doburoku Festival is held there amidst lion dances and handmade musical instruments, when a portion of the year’s doburoku is offered to the gods. 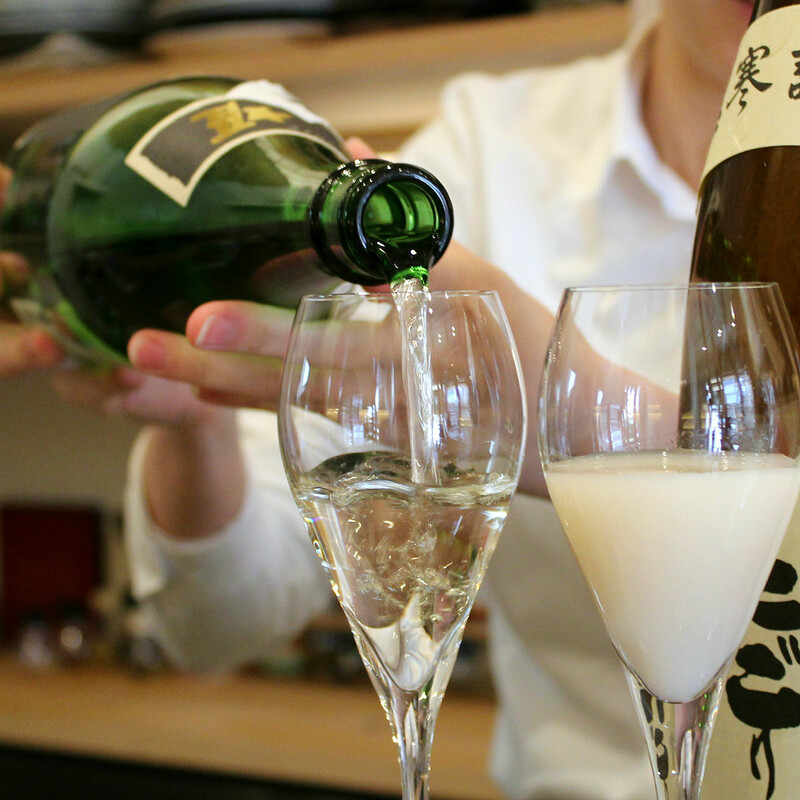 Head to Higashi Chaya, the eastern geisha district, and stop in at Makoto, a sake bar that always carries a variety of brands, perfect for training your palate. 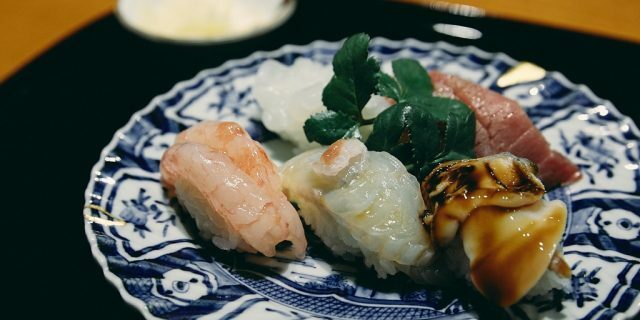 Enjoy a perfect pairing with their dishes of local fish, vegetables, and soups, or select a set of three sake bottles from across Ishikawa Prefecture. 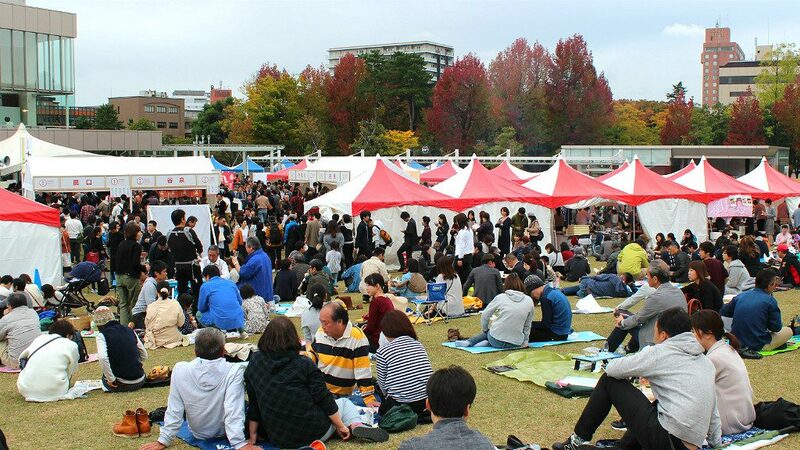 Sake Marche, the biggest sake event in Kanazawa, happens in October. 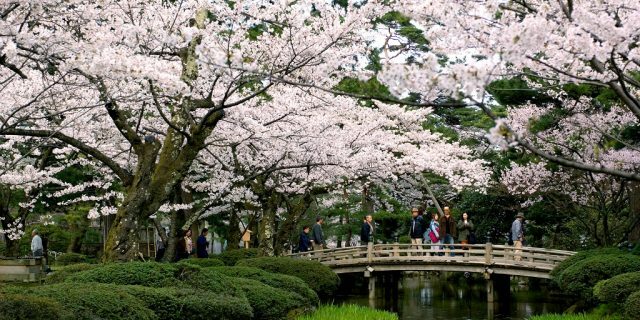 Brewers from all over Ishikawa Prefecture host booths to show off their wares, and visitors eat, drink, and make merry, picnicking along the hillside in Kanazawa Central Park facing Kanazawa Castle. 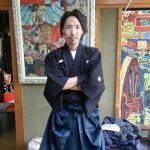 Fukumitsuya, the oldest living brewery in Kanazawa, offers free tours of its facility in both English and Japanese. For 1000 yen, you can get a comprehensive guided tour of the entire process and a taste of their sake on hand. Finally, look for this ball! 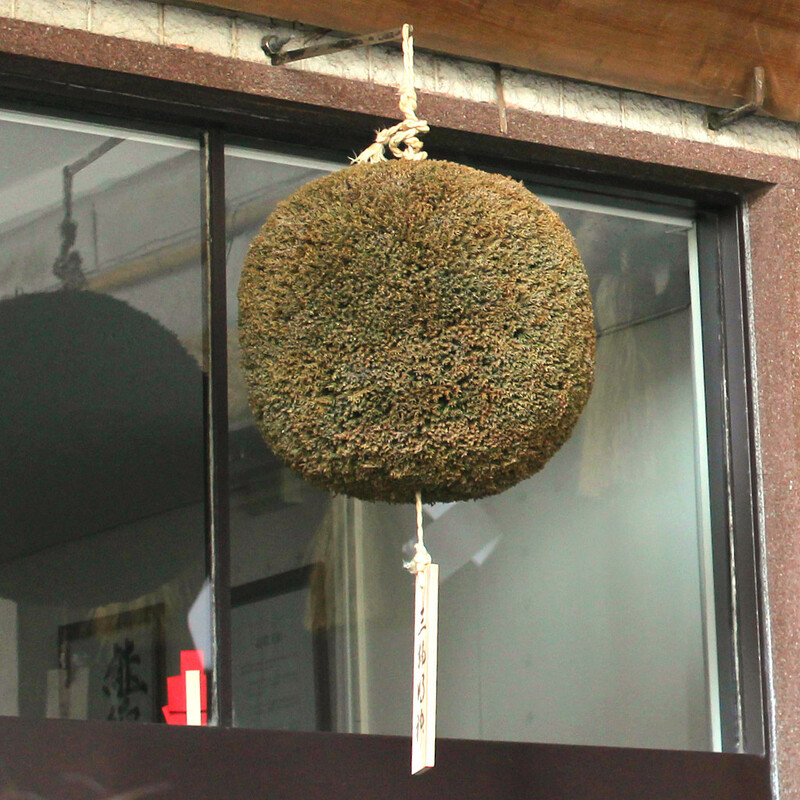 Spheres of bound cedar leaves, called sugitama, hang from shops that serve sake. 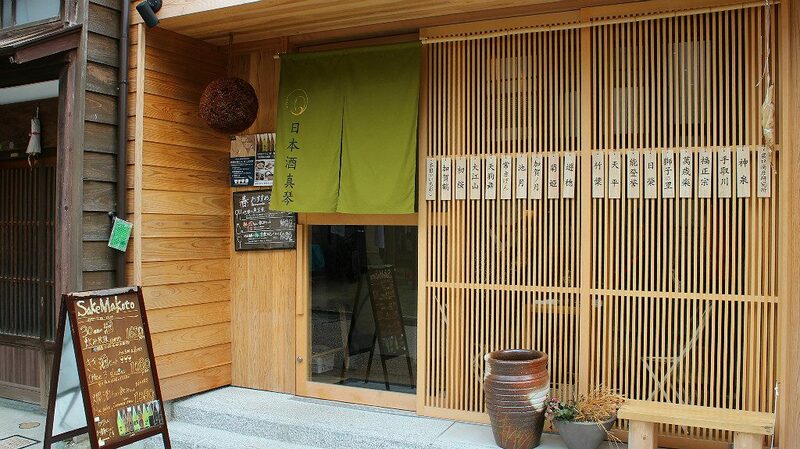 Originally a offering of gratitude to the god of sake, sugitama now serve as liquor store signs. 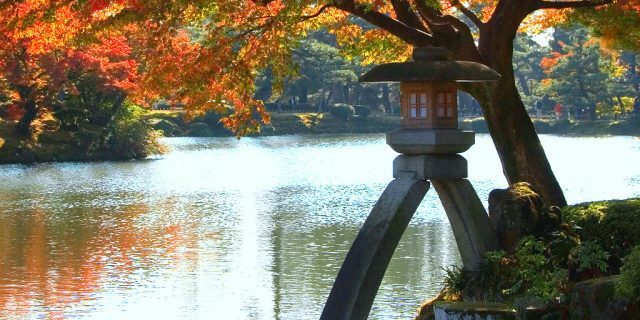 The color changes from green to brown, measuring the passing of time until aging sake is ready to drink.